Hockey isn’t the only sport going on in the Arena District in April—it’s finally time for some baseball! 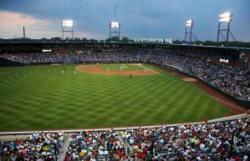 The Columbus Clippers Opening Weekend is here and it’s an exciting time to be a Clippers fan as the team just announced that they will host the 2018 Minor League All-Star Game and the Minor League National Championship. Don’t miss the series as it begins at Huntington Park (also, one of the best ballparks in the country) on April 13 against the Louisville Bats. Columbus Crew SC is coming in hot this year and we certainly don’t want them slowing down as they take on three big games in the next month! First, the team takes on Toronto FC on April 15. Next, New York City FC comes into town on April 29. Finally, New England visits Columbus on May 6. Check out the Columbus Crew SC’s website for schedule and ticketing information. The Crew SC has some great ticket promotions that you need to see to believe! Columbus once again proves its reputation as a great place for running as the USA Track & Field Half Marathon Championships returns to the city in conjunction with the OhioHealth Capital City Half Marathon. Over 100 of the country’s top runners will compete on April 29 as they run alongside participants of the OhioHealth Cap City Half Marathon, with local station WBNS-10TV broadcasting live. Special guests Ali Nolan and Hannah McGoldrick from Runner’s World’s Super Secret Mystery Meeting will also be attending the Championships, and the Sports Commission’s very own Linda Shetina Logan will serve as the Honorary Race Director! If you’re not already registered for the OhioHealth Cap City Half Marathon (what are you waiting for?) 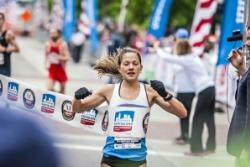 head downtown to watch the race and cheer on the runners. Last year, the Ohio State Men’s Volleyball team won a National Championship against Brigham Young University. They’re out to win it again, but this time with home court advantage! 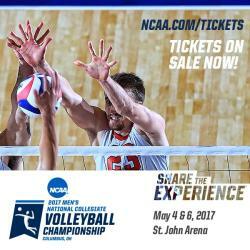 The NCAA National Collegiate Men’s Volleyball Championship will be held on May 4 (Semifinals) and 6 (Finals) at St. John Arena. The championship game will also be broadcast nationally on ESPNU. The Buckeyes are currently ranked No. 2 and expected to contend for a second straight national championship. All-session tickets are available now—bring your family and friends as you witness Ohio State defend their title. Of course, these five amazing events aren’t the only exciting ones happening this spring! 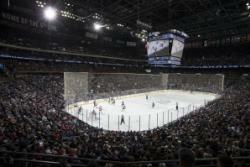 Head over to our event calendar to see what other sports are going on in Columbus.